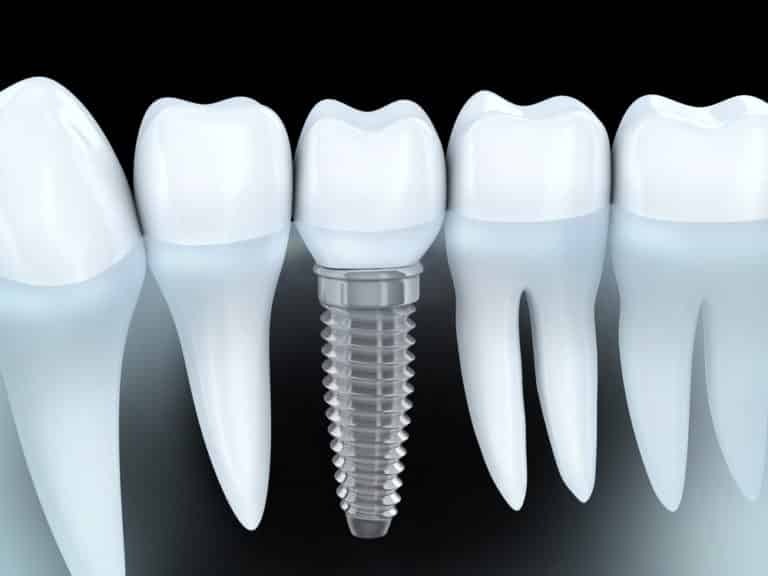 Many people are opting for dental implants as a means of tooth replacement. The placement of dental implants is a multi-step process that typically takes between 6 and 9 months to complete. It begins with a surgical procedure during which a titanium rod is placed where a previous natural tooth root once was. The gums are sutured shut over the implant, where it will stay for several months while it heals and begins fusing with the surrounding bone. Due to the nature of implant placement and its average procedure time of between 1 and 2 hours, you’ll be sedated and/or anesthetized for the duration of the treatment. At the conclusion of the healing period, you’ll return to be fitted for permanent crowns and have them placed.